Happy Friday everyone. My boyfriend woke me up this morning and I totally flipped because I thought it was Saturday and I didn't have to be in at work. Haha. I cannot wait for the weekend and sleeping in. I'm lazy and I love to sleep, I'm okay with this. But anyhow I wanted to make a post that wasn't a review or a tutorial. Just some good ol' talking, from me to you.... 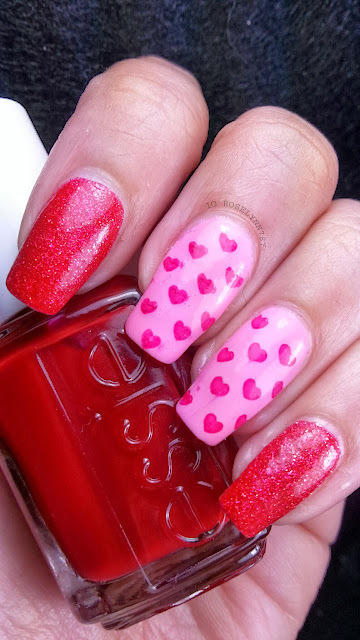 Okay fine, I may have some nail art to show you too. I'm really excited to show you my first ever successful stamping attempt! And just in time for Valentine's Day too. 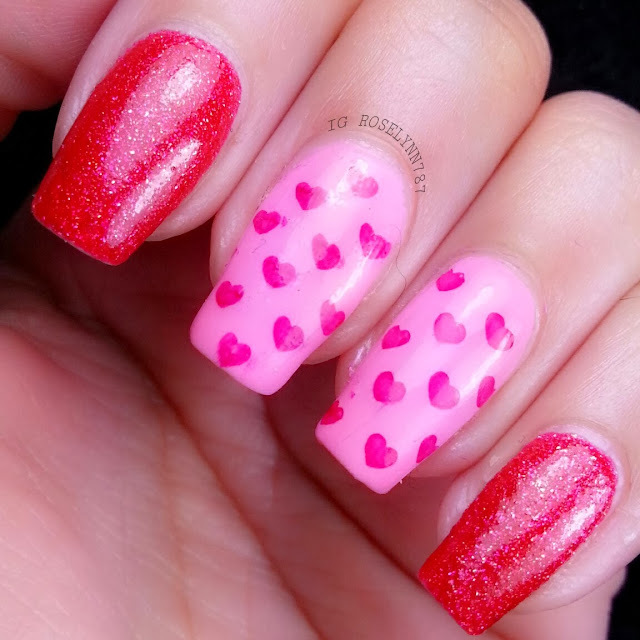 I used Pink-ing of You by OPI as the pink base for my middle and ring finger. 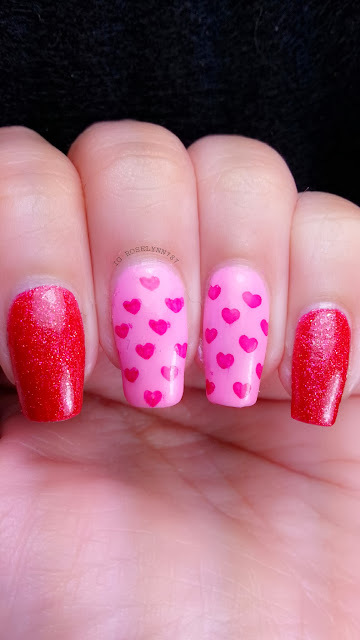 My index and ring finger have Magazine Cover Mouse by OPI and the color I used for the stamping is a Essie polish that I unfortunately don't know the name of. I honestly don't remember where I purchased the stamping plate from. Sorry ^.^; Once I have practiced a bit more, I will definitely share a step-by-step guide on how I do my stamping. 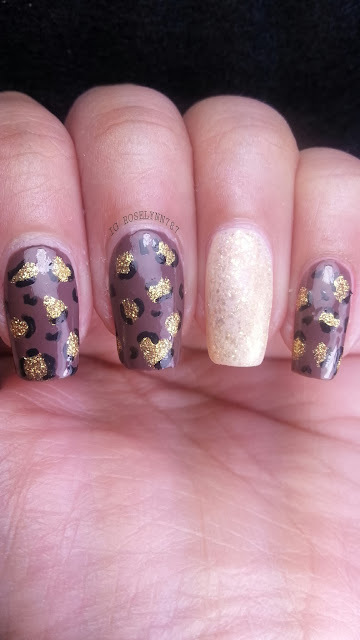 Next thing I wanted to do last night was start catching up on my January Nailart Challenges. Day 9 was Patterns and I don't know about you guys, but I'm still cheetah print obsessed. I think these are the neatest I have ever done cheetah prints before. I absolutely love how this came out and I hope you all do too. If you guys need a tutorial on how-to-do this design I have one available here. 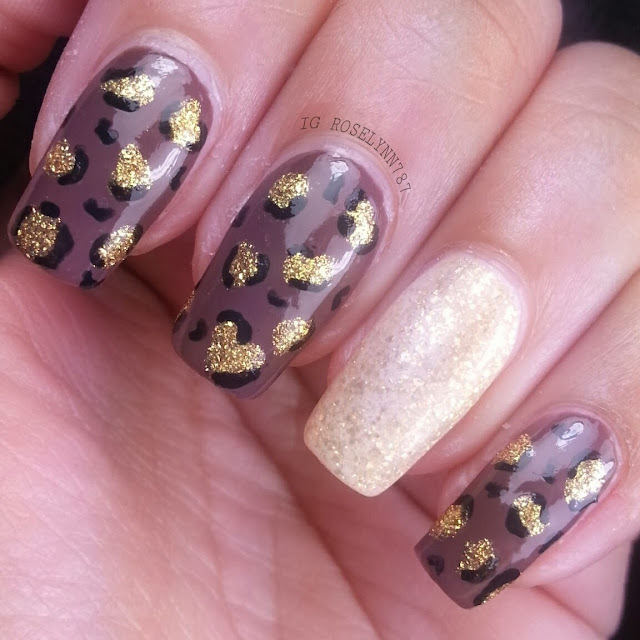 I used Mink Muffs by Essie for the nice creamy brown base. 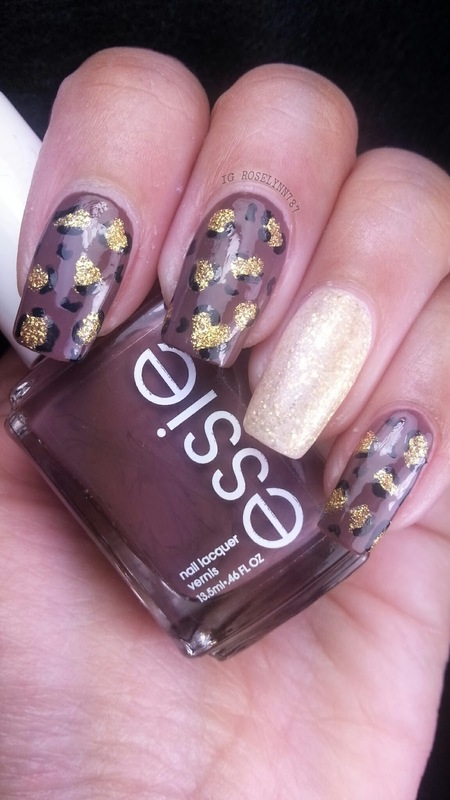 For the accent nail, I used Angel Food by Essie and then topped it off with 2 coats of As Gold As It Gets by Essie. I seriously must have done these in less than 20 minutes, just call me super nail-woman. I do apologize though because I wasn't able to get a photo without some glare. Too much shine! Side note: When did I become Essie crazy? It seems every polish with the except of one was Essie this post. Oh well, not a bad thing. I have to go through all my untried's at some point or another. Anyway, like I mentioned before, these were the neatness design I think I may have ever done to date. I'm so extremely happy for that. I mean that's improvement! *high-five* For Christmas I received a desk so that I have a proper place to do my nails. I used to just have to sit on the bed and work on my nails that way. Talk about a mess. I'll have to take photos some time and show you guys around. I'll stop babbling now haha. TGIF everyone, take care until next time. Thank you for stopping by and following my blog. I went ahead and followed yours back as well. It's funny I have always thought my fingers were too long and boney lol. Thank you for following me and yes I'd love to follow you back! I love stamping and I'm hopefully I can successfully pull off another design soon. I really appreciate you taking the time to follow me. And I'm glad you enjoyed the post. I have returned the love and followed you back.